The good witch La Bafana, or one of the many appearing Alla Festa del Bambini. La Reppublica. Now, if you have not been here in Tuscany immediately after the New Year, you may like to know that the festivities are not over until the children have been visited by the Good Witch La Befana. 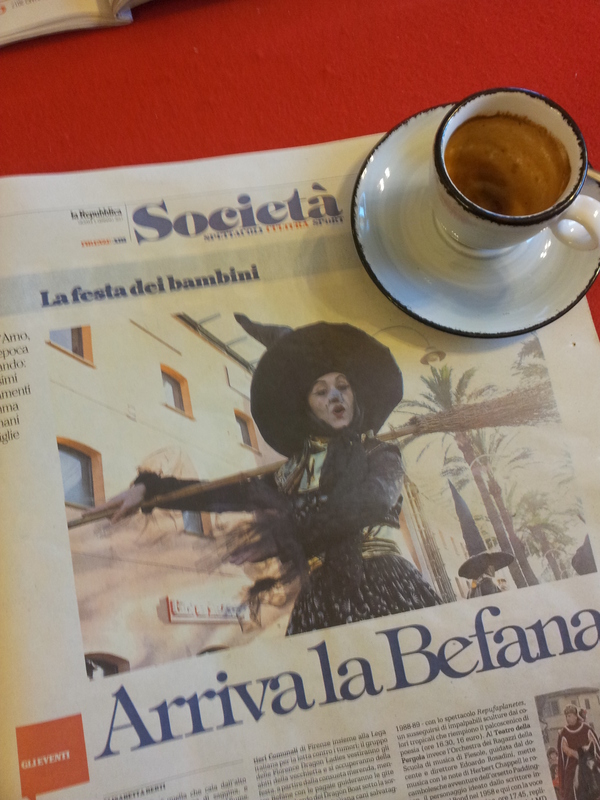 Befana brings sweets for the well-behaved children on 6th of January, which is La Festa del Bambini. The bad children get lumps of coal. Funny how I’ve never heard of any children physically receiving a lump of coal, but then she is a good witch. Izzy Lizard catches the sun. 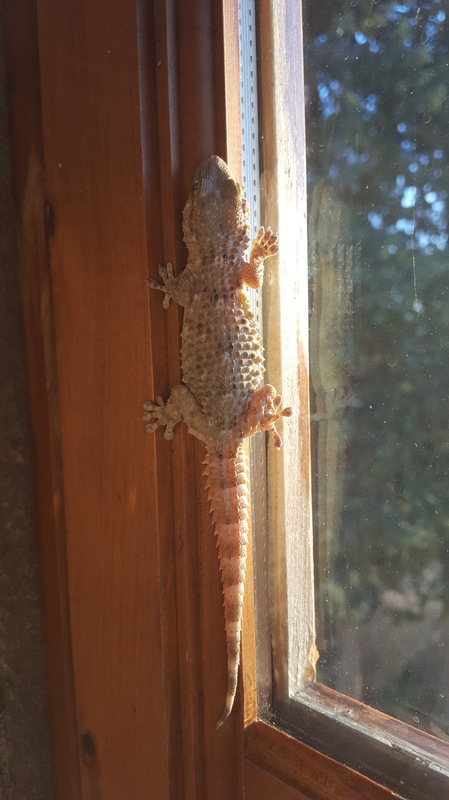 Meanwhile, during this freezing weather, lots of insects and small creatures are trying to find some warmth, and our house Lizard Izzy is no exception. Here he is bathing in the sunshine ‘inside’ the bathroom window. He’s looking very fat, as he has the run of the house and has no end of insects to gobble up. Now our house, as you know, is a lovely old converted monastery/farmhouse and is on two levels, built down the side of a hill. We live at the top and the guest apartment is below us. The big inglenook fireplace in our upper apartment was successfully made ready for the wood fire just before Christmas, and whilst it took a bit of getting used to, imagine a large black Tardis-like box, we’ve grown to like it and the fire itself is magnificent. 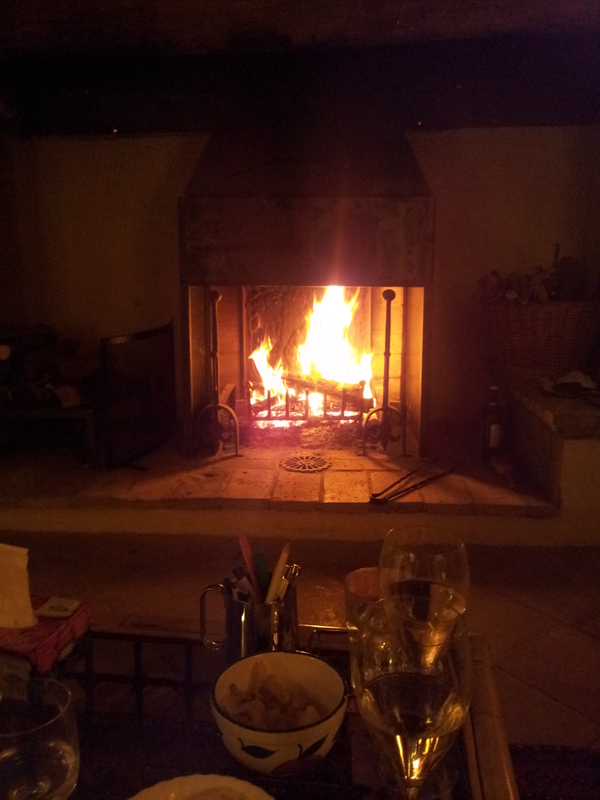 So we have been enjoying the blazing log fire every evening and sometimes during the day. It is, after all, six degrees below in the mornings! 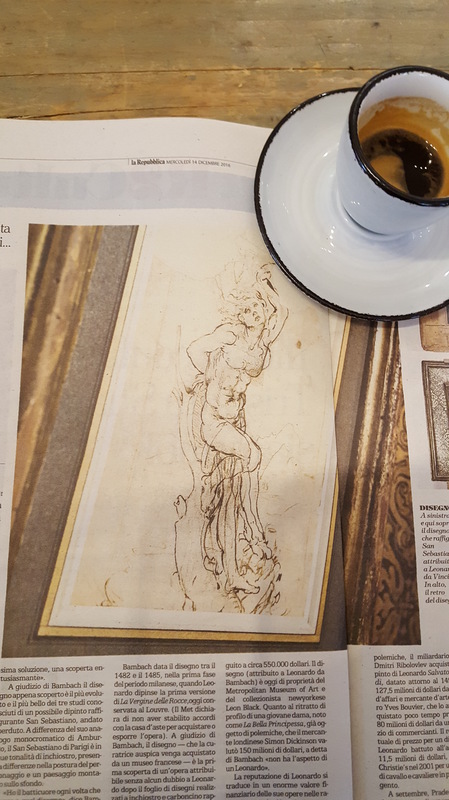 Meanwhile, we read in the newspaper over coffee, that yet another Leonardo De Vinci picture has been discovered hidden in a private collection for donkey’s years. Of course, just about any Leonardo picture, etching or carving is worth a fortune; I bet he wishes he could have enjoyed so much money when he was alive. I can imagine him looking down with a rueful smile on his lips. Anyway, enough of that. 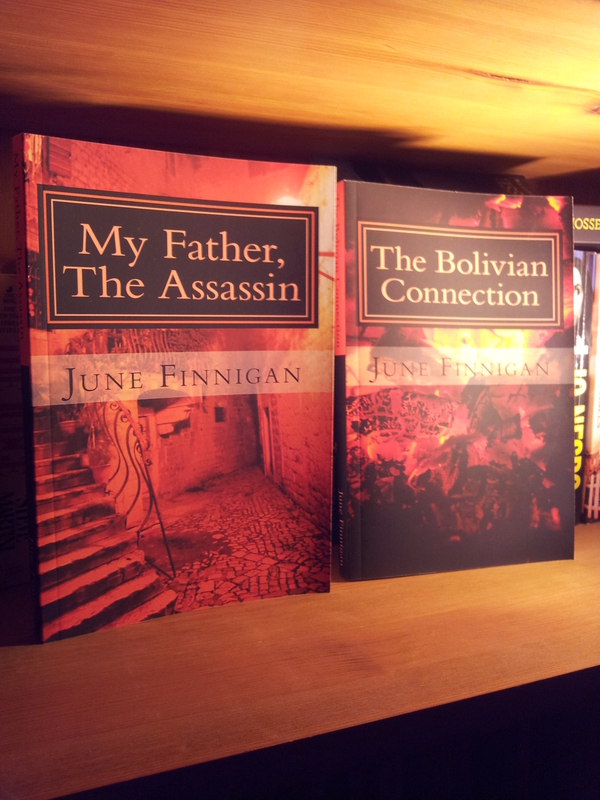 I must get my packing done as I am off to England tomorrow for a bit of business and estate planning. I’ll be back on Friday and I’m feeling homesick already.